In the following articles we would like you to get started in Destiny - House of wolves easier. 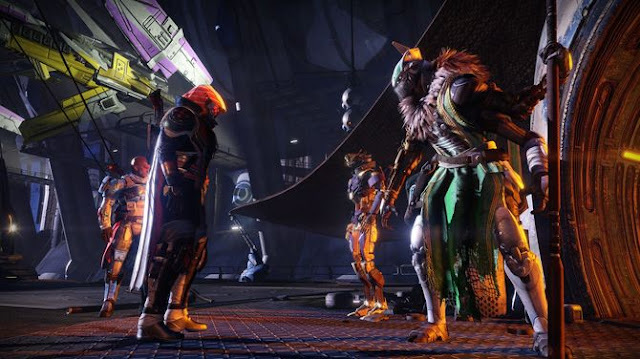 We explain you how to access to the Trials of Osiris and what to expect. Unfortunately, the Trials do not come through a matchmaking to pass. This means that you go even to look for colleagues you need to start the PvP event. These events are "Endgame activities", so they are intended for players who have reached the highest level and have a lot of experience in PvP. According to Bungie, this mode is not aimed at casual gamers. To take part in the Trials of Osiris, you must have reached at least level 20 and have a test ticket. Brother Vance from the reef it sold you for 100 mica. However, these tickets are valid for one week only, which means that all the points will expire, unless you have not redeemed in time or won enough victories. Simultaneously, the test ticket is also a point card. Every victory and every defeat is recorded. Only three losses are allowed per ticket. Exceeds your limit expires the test ticket and you have to buy a new one. In the Trials of Osiris is a turn-based 3 vs. 3 Team death match. The first team that can choose five rounds for a total wins. You should have been eliminated, you can be revived only by a teammate. The classic re-entry as the melting pot does not exist here. The equipment of the guardian is not balanced, who is well equipped thus enjoys a clear advantage during the fighting. In the event that a game lasts longer than two minutes, a flag will appear on the map which can be taken for the round win. In addition, the round can be won by the end of the round is a teammate closer to the flag, as it is the players of the opponent team. In the Trials of Osiris is weekly events, which are held on weekends. It is important that you reach at this time as many victories to be able to use Google Maps with brother Vance exchange for exotic objects. Miss deadline, replace all previous victories and defeat, and you have to start from scratch. From a certain number of victories can trade against legendary equipment in the Egyptian style your ticket at Brother Vance. The items are highly sought after with a light upgrade of up to +42. In addition, you beckon great, legendary Drops during the fighting. Furthermore, you can buy bonuses in brother Vance. So you have, for example, the ability to delete a defeat, or to get hold of an immediate victory. We recommend that you lookup group in the tower or in the reef. Get your inventory on and open the overview. Here you can see on the right side all the players currently in the tower. Ride with the pointer over the name to find out the level of the players. Right next to the names you see on top of that a status bar, which symbolizes the quality of the network connection. Seek out the best players from having a good Internet connection. If you have a suitable candidate found press Details and select the following menu invite the point in use squad. Formulate from a scarce and kind invitation here. If you are lucky, the player takes on your requests and audits begins with you. Destiny will always try to send you to a tower with players from your area, there can be found relatively easily people that you understand language well. If you are looking for more players, we recommend you the Official Bungie Forum. Under the item recruitment must choose their raids. In this thread, you can write a post and search for colleagues. 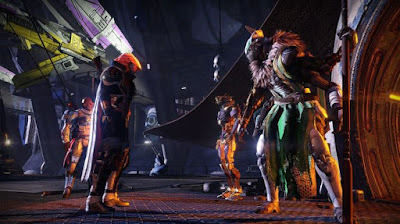 Before you have to register in the forum, but here are the opportunities to find suitable guardians significantly larger than on the search in the tower. Destiny Looking for Group is a search engine, you will find in the task for each keeper. This is to find the currently most convenient way players, but you will sometimes flooded by invitations. If you are alone and looking for a team, push the List my Guardian button. This opens a form where your gamertag, your console, language, class, level, looking for activity and enter a brief comment. The chances of finding a suitable group to you, it increases if you use a microphone for communication and honest you with information on your equipment, experience and level stage. If you have a team even and still looking for the last player, you can use the filter of Destiny LFG. You can filter by platform and the desired activity. So if you need someone for the boss fight in the raid Crota’s end, you choose from this checkpoint and get an overview of all players looking for a team for exactly this fight.